It's time for an update on where MineSwine stands. There have been a lot of things discussed behind the scenes and now we're ready to present our ideas to you guys. There's been a couple of minor updates for JediCraft while I've been around, but up until now, it's gone back to its former state in the past month. JediCraft is themed around Star Wars, which was tough for me because I did not have the slightest clue about Star Wars. All I could do was create your standard updates: a levelling system, some leaderboards, and a couple of fixes besides that. After that, nothing. I'm not going to say that I haven't thought about JediCraft. We did have plans with more updates to be released, but I didn't see as much in JediCraft as anybody else has. I wasn't even playing Minecraft in 2013, and I haven't heard about MineSwine until January 2019. As a lot of you have been asking, we will be releasing some new content very soon. It took a while for me to get familiarised with everything that was going on here at MineSwine prior to my ownership. Now that I’m up to speed, it’s time to get down to business! I’m happy to announce that our team has started work on some major changes to the server’s most popular game mode - JediCraft. There are a lot of changes that need to happen with JediCraft. We admit the map wasn’t brilliant. The design lacked quality, and it wasn’t up to our usual standard. We realise that there is a bigger issue plaguing the server. There has to be more to JediCraft than simply getting loot and killing people. First of all, I’m going to introduce a levelling system. Hello everyone! Once again we are bringing you a list of brand new features! Enjoy and let us know what you think! JediCraft is coming with a lot of brand new features! Some have been highly requested, others we just thought you guys would enjoy. Attachments - Attachments are being completely removed very soon and will have no use, but any attachment guns you have will be available for use until we add Tier 3 guns which is explained below. Achievements - Achievements are here! Complete these as another way to gain an income on the server. The achievement system can be accessed using the command /ach. This will update and you progress through each achievement, and each tier comes with a bigger reward. The Eco Reset is now live! All money, inventories, and enderchests have been reset. We have completely reworked the chest system so it should be less OP. We have also added a few more towns and buildings to the Tatooine map for you to explore! We are also coming out with kit changes. Member has received a new "Youngling" kit that has a 30min cooldown to hopefully give new players a jump on the competition. Marksman and Demoman kits also come with 1 piece of mandalorian armor. The amount of mandalorian armor in Jedi and Sith kits have been halved in order to keep them in line with new balance changes. You can view the items on our store. We have also added a /sell command for you all! We hope you all enjoy this update! More to come in the future! It's spooky season, and MineSwine has just received a spooooky update! In celebration of Halloween, there will be a 25% off sale on everything in the store! So take advantage while you can! the sale will end on October 31, 2018. Hidden in the hub is an easter egg... if you find it, take a screenshot and send it into the MineSwine discord tagging me and I will give you a $10 buycraft voucher! I come to you all with great news about some new features that will be added to the network tonight! - Unbans and Unmutes are now available for purchase on our store! Be careful, you are only allowed 3 Unbans. These two packages will not be affected be any sales. Unbans to not apply to bans for inappropriate names, skins, or capes. Admins also reserve the right to deny purchases of unbans/unmutes to specific people. - A new kit called "Youngling" for all you new players out there! This kit will include some armor, a pistol, and food! 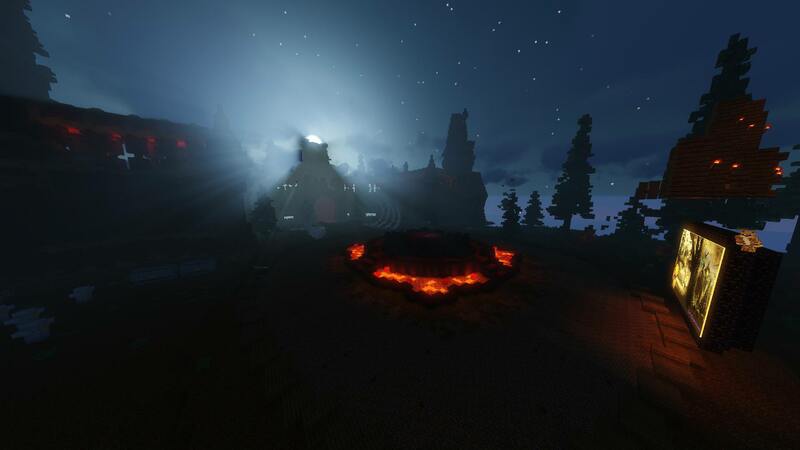 - Two new guns that I think have been long waited are also going to make light on the server tonight. The TL-50 and G-56! These guns will not be on the shop, and will only be obtainable from Tier II chests!